Jack Sock, Pro Circuit 10K Futures, Amelia Island, Fla.
Ryan Harrison, Pro Circuit 10K Futures, Laguna Nigel, Calif.
Ryan Harrison, Pro Circuit 15K Futures, Shingle Springs Calif. The finals are set for 16s and 18s USTA Winter National Championships in Scottsdale, Ariz., with Ellen Tsay the only No. 1 seed still with a chance for a gold ball. The 16-year-old Tsay plays 15-year-old Anna Mamalat, the No. 12 seed for the girls 18s championship. In the boys 18s final, No. 2 seed Daniel Kosakowski, who has committed to UCLA, will play Notre Dame recruit Billy Pecor, the No. 23 seed. 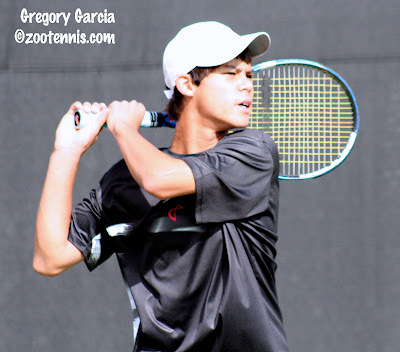 In the boys 16s, Junior Orange Bowl 14s finalist Mackenzie McDonald has continued his excellent play this month; the No. 19 seed faces No. 6 seed Ace Matias in his second final in nine days. There are two new faces, at least to me, in the girls 16s final, both unseeded: Kourtney Keegan of Georgia and Rachael Reed of Texas. The 12s and 14s results from Tucson today have not yet been posted, but if you are reading this post Friday, you can find out the finalists at the TennisLink site. 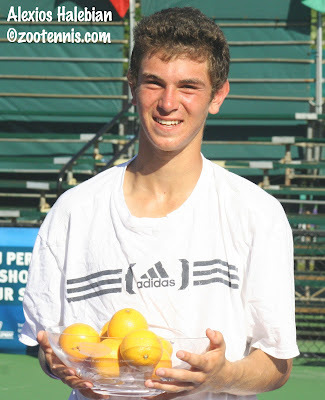 As I mentioned yesterday, my Junior Orange Bowl recap for the Tennis Recruiting Network is available today. I would like to thank them for providing me with a regular outlet for my tournament recaps, my recruiting profiles and all the other miscellaneous junior and college tennis stories that surface while I'm covering tournaments. Without their support, my regular travel for tournament reporting would be nearly impossible to sustain. One of the junior developmental coaches I see regularly in my travels, Chicago's Mark Bey, is a frequent contributor to the Tennis Channel, and on Saturday, January 2nd, he will be featured on the USPTA series On Court in back-to-back half-hour segments. The first, entitled "Competitive Drills and Games", will air at 11 a.m. EST, followed by "The All-Court Player." For more on the series, click here. And finally, for an interesting story on what the breakout success of a young tennis player can do for a local club, see this article from the Atlanta Journal-Constitution on the Racquet Club of the South, where Melanie Oudin trains. Wrapping up the Florida junior swing with a slideshow from the Junior Orange Bowl and videos of the eight finalists. The videos of the 14s champions are below, with links to the other six finalists on YouTube. 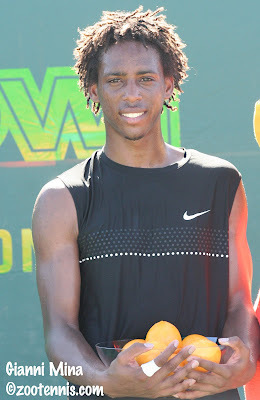 My Junior Orange Bowl recap for the Tennis Recruiting Network should go up tomorrow. The first ITA Campbell collegiate rankings of 2010 won't be out until next Tuesday, but stories about Jesse Levine, Somdev Devvarman and Devin Britton got me thinking about college-related stories I've missed in the past month. I tried to keep up with the U.S. team's exciting 4-3 win over France for the Master'U BNP Paribas world university challenge championship, but with the Dunlop Orange Bowl in full swing, I wasn't able to devote much space to it. The results are here, and Georgia Tech's Irina Falconi wrote an entertaining blog for usta.com, full of on-court and off-court observations, which can be found here. Texas A&M's Austin Krajicek, USC's Steve Johnson, Notre Dame's Kristy Frilling, Kentucky's Eric Quigley, Tennessee's Caitlin Whoriskey and Falconi made up the team, coached by Greg Patton of Boise State and Michelle Dasso of Illinois. Charlie Bricker caught up with Jesse Levine recently for a story on Bob Larson's Tennis News website, and according to Bricker, the former Florida Gator has decided not to go to Australia for the Open qualifying, where he is five places out of the main draw. Instead, he will play challengers in Hawaii and Dallas and prepare for ATP events in San Jose, Memphis and Delray Beach. Somdev Devvarman, the 2007 and 2008 NCAA champion from Virginia, is back in his hometown of Chennai, where he reached the final of the ATP event held there in January. In this story from indianexpress.com, entitled "I have learnt from my errors," Devvarman reveals his plans, which do include Australia. There is a chance he will receive a main draw wild card there, as one is reserved for an Asian player. Devin Britton, the 2009 NCAA champion from Ole Miss, was named sports person of the year by his local newspaper, the Jackson Clarion-Ledger, and the accompanying story provides the first public reference to his endorsement deals with K-Swiss and Tecnifibre. 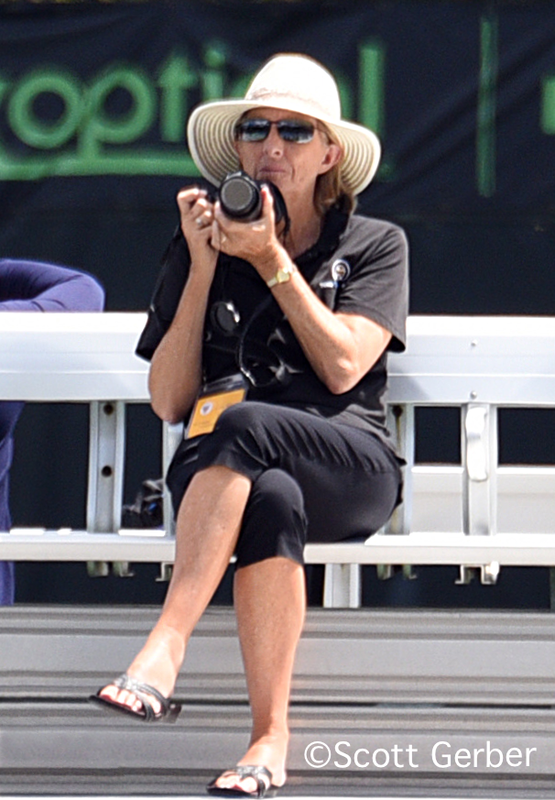 In her 2009 Pro Circuit wrap, Sally Milano of usta.com highlights several former collegians--Laura Granville, Riza Zalameda, Cory Parr, Michael Russell and Jesse Witten--as well as Ryan Harrison. And Stanford's Hilary Barte was the subject of the usta.com College Spotlight earlier this month. Tennis Australia's wild card tournament finished in the midst of the Junior Orange Bowl, so I wasn't able to give it the coverage I would have liked. The men's wild card was won by Nick Lindahl, who saved five match points against 17-year-old Bernard Tomic to win the best-of-five-sets final 6-7(6), 6-1, 4-6, 7-6(8), 6-3. For more on the men's final, see this story from Linda Pearce of the Sydney Morning Herald. The women's wild card awarded to the tournament winner went to Casey Dellacqua, who also saved match points in her 1-6, 7-6(9), 6-3 victory over 18-year-old Olivia Rogowska. For more on that match, see Pearce's story. A few days later, Australian Open tournament director Craig Tiley announced the recipients of the discretionary wild cards remaining, with both Tomic and Rogowska receiving one, along with Alicia Molik, who is returning from injury but fell in the tournament quarterfinals, and Carsten Ball, who was injured and did not compete in the tournament. Also given a main draw wild card was 16-year-old junior Jason Kubler, who won just one match in the round robin portion of the wild card tournament. Kubler, who won the Australian 18-and-under title and is currently fourth in the ITF world junior rankings, has proven to be a controversial selection. Having yet to win a Futures-level main draw match in the nine tournaments he has played at that level, and having played only one junior slam, last year's Australian, where as a wild card, he lost in the first round of singles and doubles, Kubler will need to adapt to the sport's highest level in a hurry next month. Most criticizing Kubler's elevation to the main draw believe he would have been better served with a qualifying wild card. Tomic, who won a main draw match from Potito Starace of Italy at this year's Australian Open, was expected to receive a wild card with a decent showing at the tournament. But not everyone in Australia is foreseeing greatness for him. John Newcombe voiced his reservations recently in an AAP story that appeared in Perth Now. "I think he's got a long way to go," the seven-time grand slam winner said. "He's done well in the junior ranks and has got a couple of minor results in the seniors, but there is nothing yet to indicate that he will become a top-20 player. "It's a very important year for Bernard, because if he doesn't make the advances and with the hype about him being so great it could end badly." "Of the top 25 youngest players in the world that are ranked on the senior tour - not the junior tour - four of them are Australian, and that's more than any other nation," Tennis Australia boss Craig Tiley told AAP. I'm not sure there's much relevance in that statistic myself, and find it disturbing that there is absolutely no mention of college as a development tool in all of this, despite the fact that several of the players invited to the wild card playoff were current or recent U.S. collegians, and that one of the two Australian men currently in the top 100, No. 77 Peter Luczak, played three seasons at Fresno State. I also don't understand why playing junior events should be discouraged, unless it is simply too expensive given the travel costs from Australia. Tiley goes on to cite the benchmarks necessary for TA support, but I think those guidelines fail to take into account the different development curves. Rest assured there will be much more discussion about all of the issues facing Australian tennis as next month's first slam approaches. 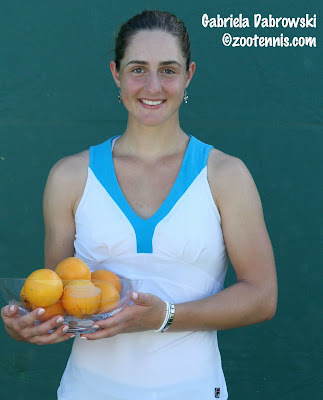 There is really no off-season in junior tennis, with just days between the Junior Orange Bowl and the USTA Winter Nationals and a mere two weeks between the last ITF Grade A of 2009, the Dunlop Orange Bowl, and the first of 2010, the Casablanca Cup. The USTA Winter Nationals began with two rounds of singles today (except for the 12s) in order to complete the 128-draw events by Friday, January 1. The top two seeds in the 16s and 18s divisions, who play in Scottsdale, Arizona, are Zachary Leslie and Daniel Kosakowski (B18s), Ellen Tsay and Danielle Collins (G18s), Jackson Withrow and Nolan Paige (B16s) and Ashley Dai and Megan Kurey (G16s). For complete draws, see the TennisLink site. The top seeds the 12s and 14s, who play in Tucson, Arizona, are: Gage Brymer and Jack Murray (B14s), Gabriella Andrews and Christina Makarova (G14s), Spencer Furman and Sameer Kumar (B12s), and Alexandra Letzt and Nicole Frankel (G12s). For complete draws, see the TennisLink site. Qualifying for the Grade A Casablanca Cup outside Mexico City began yesterday and was completed today, with the main draw beginning Monday. Three of the top four boys seeds are Americans, all of whom train at the Junior Tennis Champions Center in College Park, Maryland: Mitchell Frank (1), Denis Kudla (2) and Junior Ore (4). Dennis Novikov (6), Dane Webb (11) and Campbell Johnson (16) are the other seeded players from the U.S.
Orange Bowl champion Gabriela Dabrowski of Canada is the top girls seed, with Polina Leykina of Russia seeded second. The seeded U.S. girls are Noel Scott (9), Monica Turewicz (13), Brooke Bolender (14) and Sachia Vickery (15). Vickery came through qualifying, so she must have been a late entry. The Casablanca Cup is one of the very few junior tournaments held at high altitude, so it requires some adjustments from those who spent December competing in Florida. The complete draws can be found at the tournament website, and for a preview, see the ITF Junior website. Coaches Q and A: How Should I Handle a Long Rain Delay? As I waited out yet another rain delay at the Junior Orange Bowl, it occurred to me that the last outdoor tournament I covered that didn't have one was the Easter Bowl, way back in April. 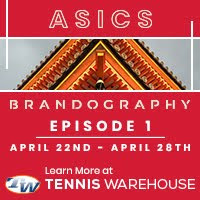 With these disruptions such a regular part of tennis, I thought it would be helpful to get advice from Andy Brandi of the Harold Solomon Tennis Institute in Fort Lauderdale, Florida on dealing with them. How should I handle a long rain delay? Rain delays can be disruptive or they can be beneficial. If you are ahead in the match, a rain delay can halt my momentum. If you are behind, a rain delay is a godsend. The important thing is to stay positive and have a system to follow when this occurs. 1) Be sure that you turn in the score at the time the match is halted. You do not want to have a disagreement about the score when the match resumes. Turn in the balls. 2) Ask for a time when the referee thinks the match may resume or when you can check back about the status of the match. 4) Keeping the time you are scheduled to resume in mind, warm up before you go back on court. It is crucial that you are ready to play when you go back on court. After a long delay, you will get 10 minutes to warm up. What you do before you go on is very important. If there are courts available to warm up, do an abbreviated warm up. If at the time of the suspension you are returning serve, take more returns. If you are serving, take more serves. Play some points and if you can, go from the warm up court to the match court. If there are no warm-up courts, jog around and jump rope before you go back on. The key is to take advantage of the delay so you return to the court ready and be able to take control of the match right away. What you do and how you do it can give you an edge over your opponent. Best of luck! I'm taking a couple of days off for Christmas, but please make sure you've reviewed all of my onsite daily junior coverage from this past month's major junior tournaments in Florida. I'll be back with a Coaches Q & A on dealing with rain delays, and Junior Orange Bowl videos and slideshow. 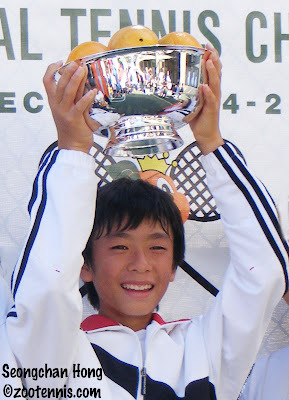 Sally Milano of usta.com has compiled this extensive review of 2009 junior accomplishments by U.S. juniors. It's very comprehensive, but I think she missed Hunter Harrington's breakout on this Florida swing. 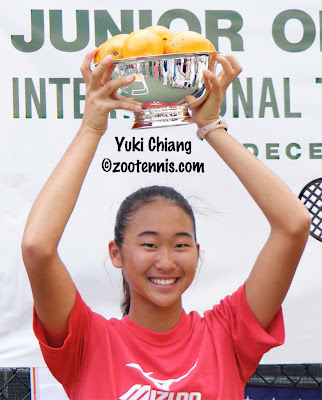 Yuki Chiang's father Robert wasn't particularly confident of his daughter's chances to win the Junior Orange Bowl girls 14s championship before the tournament started, but he'll gladly be purchasing the previously promised iPhone after her 6-3, 6-3 upset of top seed Brooke Austin Wednesday morning at the Neil Schiff Tennis Center at the University of Miami. "I asked my dad what round do you think I'll get past, and he said "I'll bet you lose first round,'" said Chiang, who admitted that her father was just trying to motivate her. "Then I won the first round, and the second round, and then he was like 'maybe I believe in you,'" she recalled. "I like proving him wrong." The unseeded Chiang, who lives in Ojai, Calif. and trains at the USTA Player Development Center in Carson, proved that her championship run was no fluke, defeating the No. 2, No. 3 and No. 1 seeds along the way. Against Austin in the first all-American girls 14s final since 1988, Chiang played an exceedingly clean and focused match. In her semifinal win Tuesday against the hard-hitting No. 3 seed Daria Lebesheva of Belarus, Chiang blew a big lead in the second set, lost the set in a tiebreaker, then prevailed in a tense third set 6-4. Leading Austin 6-3, 3-0 and serving, Chiang again had a lapse, losing three straight games to give Austin a glimmer of hope. But she immediately broke Austin to get the momentum back on her side. "I wasn't focused at all, but the reason was that she was attacking me really fast," Chiange said, relaying her thoughts in that seventh game. "She thinks I'm down, but I'm not, so I try to fight back. She would hit a shot, that was like, impossible, and I'd think, if I get this back, she's not going to get the next one, so I would try so hard to get it back. I was thinking one more ball than her." In addition to playing better defense than Austin, Chiang also committed substantially fewer unforced errors and matched Austin in the positive body language department. Austin held her serve only once in the match, so when Chiang dropped her serve, she was confident she could recover in the next game. "I knew her serve was her weakness," Chiang said. "She just gets her serve in, and then she can rally. But if she doesn't get her first serve in, I know that I have the advantage. She knew I was going to attack it, so she kind of got tentative." Austin agreed that her serve was a liability early, but thought that she was finding her form. "I felt it got better as the match went on," said Austin, who at 13, is eligible to compete in the 14s division for another year. "I didn't necessarily double fault, I just didn't get my first serve in." Austin was impressed by Chiang's level of play in the final. "Watching her play yesterday, she made a lot of errors," said Austin, who had never played Chiang before. "But today, she just didn't make any errors at all." Both Austin and Chiang will be playing the USTA Winter Nationals next week in Scottsdale, with both competing in the 16s division, so a rematch could be just days away. If it follows the script of the boys 12s final, Chiang should be ready for a very motivated opponent. Seongchan Hong of Korea had lost to American Stefan Kozlov in the Eddie Herr final 7-6(1), 7-6(5) and during the first set of their rematch in the Junior Orange Bowl final, it looked like it would be another long and closely contested encounter between the two No. 1 seeds. The first four games clocked in at 40 minutes, and the first set took well over an hour to complete. But unlike the Eddie Herr final, Hong wasn't content to stay back and wait for an error; he forced the action, and his aggressive play resulted in a 6-4, 6-2 victory. Kozlov was cheered on by several dozen friends and family members, who had large hand-lettered signs reading Let's Go Stefan and Stefan The Champion as well as small American flags they would wave after important points. But Hong, who had his own smaller but still vocal Korean federation teammates supporting him throughout the match, didn't let any of the noise affect him, and he earned Korea's second consecutive Junior Orange Bowl boys 12s title. "I was winning 5-2 at Eddie Herr," Hong said through an interpreter, Daniel Yoo. "But I wanted to win so much that I couldn't be aggressive. Today, I just keep with an aggressive strategy, from the beginning, I'm going to be aggressive today." Watching his compatriot Hyeon Chung win both the Eddie Herr and Junior Orange Bowl last year, Hong, who was also competing in both tournaments, saw what he needed to do to follow in Chung's footsteps. "I wasn't really aggressive back then, now I make fewer mistakes, and my forehand has improved, is more aggressive," Hong said. The usually talkative Kozlov, who on Tuesday called the pressure of going for both the Eddie Herr and Junior Orange Bowl titles "crazy," was subdued after the loss. "I didn't play how I was supposed to play," said the 11-year-old from Pembroke Pines, Fla. "I just missed more today, and didn't play as aggressive." The boys 14s final, which began just as the boys 12s final was ending, showcased just how much difference two years makes in boys' development. Thien Nguyen's 7-6(2), 6-0 win over Mackenzie McDonald was a display of mature and varied tennis, and the 14-year-old from Vietnam gave one-handed backhand aficionados plenty to savor. Nguyen, the No. 8 seed, fell behind 2-0 in the first set, and he admitted that nerves were the primary reason. But once he broke back in the third game, Nguyen became more comfortable and showed no jitters when serving down 4-5 and 5-6 in the first set. In the tiebreaker, McDonald couldn't find the court, making five unforced errors, and Nguyen took control of the match with a break in the second game of the second set. "In the first two games I was back far from the baseline, so he was controlling the point a lot," said Nguyen, who trained in California for three years. "So from the third game I started to play inside the baseline and take the ball early." Once Nguyen's confidence rose, he played even more aggressively, hitting winners from some unlikely positions on the court and missing very little, even though he was often going for risky shots. He sensed that McDonald, a former doubles partner, was discouraged after the tiebreaker. "In the second set he was kind of down a little bit," said Nguyen, who is the first player from Vietnam to claim a Junior Orange Bowl title. "That was my advantage to control the match." McDonald, a No. 9 seed from Piedmont, Calif., didn't disagree. "In the second set, there wasn't enough energy out there," said McDonald, who had won a three-hour battle with Kyle Edmund of Great Britain in the semifinals. "I kind of let up a little bit. He gave me nothing, threw in those slice backhands, and didn't give me anything to work with. He just made a ton of balls and fought hard on every point." For Nguyen, the excitement of winning his first major international match left him shaking, unable to comprehend the achievement. "I don't know when I'll realize it, but now, I still can't believe it." The third place matches and the consolation finals--this year for first round losers only due to rain for two days early in the tournament--were also held on Wednesday morning, except for girls 12s, which finished on Tuesday. In boys 14s, Nikko Madregallejo, a 17 seed, defeated Kyle Edmund of Great Britain, a No. 9 seed, 6-3, 6-4 for third place. In the consolation final, Spencer Papa of the U.S. beat Drew Dawson, also of the U.S., 6-4, 7-5. In girls 14s, No. 3 seed Daria Lebesheva of Belarus defeated No. 4 seed Domenica Gonzalez of Ecuador 6-1, 3-6, 6-2 for third place. Amanda Lin of the US was the consolation winner when Joanna Savva of Cyprus was unable to play in the final. In the boys 12s, third place went to Alexander Zverev of Germany, a No. 1 seed, who beat unseeded Spencer Furman of the U.S. 7-6(5), 6-2. Duck Hee Lee of Korea, a No. 1 seed, was the consolation winner, defeating unseeded Vince Tabotabo of the Philippines 6-2, 6-1. The girls 12s consolation winner was Fiona Ferro of France, who defeated Matilda Fernandes of Portugal 6-1, 3-6, 10-7. Third place went to unseeded American Tornado Ali Black, who beat Mathilde Armitano of France, a No. 1 seed, 6-3, 3-6, 6-1. Any casual spectators wandering over to the Junior Orange Bowl girls 12s championship Tuesday morning at Salvadore Park could be excused for thinking they were watching a 16s or 18s division match. They saw two 5-foot-10 girls hitting balls with vicious pace and depth, crushing second serve returns and going for the lines regardless of the score. When it was complete, the championship belonged to 12-year-old Francoise Abanda of Canada, a No. 1 seed, who came from down a set and a break to defeat unseeded Julia O'Loughlin of the U.S. 6-7(6), 6-4, 6-1. Abanda, who has both a physical and mental resemblance to Venus Williams, never looked rattled, even when O'Loughlin was serving up 4-3 in the second set. A favorable net cord gave the Montreal resident a break point in that game, and she ripped a forehand winner to even the second set at 4. After holding in the next game, Abanda took her chances when she got a second serve from O'Loughlin at 4-5, and when the Floridian's forehand wobbled a bit, Abanda was able to convert on her fourth set point. Although Abanda admitted that she was tired after playing two draining three-setters on the green clay Monday, she didn't let the fatigue disrupt her concentration. After the mandatory ten-minute break between the second and third sets, Abanda saved a break point at 1-1, broke O'Loughlin in the next game and held again for a 4-1 lead. "I tried to play smart and calm myself," said Abanda, who is based at Tennis Canada's National Training Centre. "I think I played pretty good in the third set. I had good serves and I didn't miss a lot, so that helped me." Abanda knew that she had to find a way to neutralize some of O'Loughlin's impressive power. "She's hitting really heavy, and her backhand is really good," Abanda said. "She had good serves, and it was hard for me to control the ball, because she was hitting so hard." As a few more errors began to creep into O'Loughlin's game in the third set, Abanda took advantage, but O'Loughlin never seemed discouraged, and right up until the backhand winner that Abanda struck on match point, O'Loughlin kept the positive self-talk, with c'mon, you can do it, being the favorite phrase. A few moments after the loss was a reality, O'Loughlin burst into tears, but after a taking a minute or two to reflect on her week, the smile was back on her face. "I really wanted to win it, but second place is pretty good," said O'Loughlin, who moved from Colorado to Boca Raton three years ago. "I like my game. I was more aggressive this tournament, and that worked out very well for me." 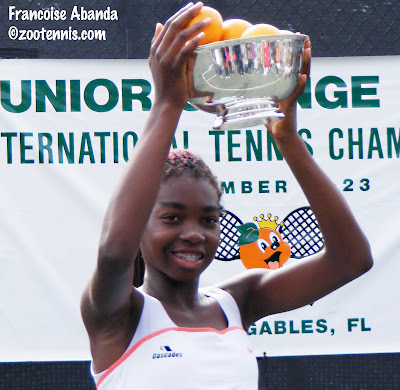 Abanda's sister Elisabeth, who won an Orange Bowl trophy of her own in the 16s doubles at Key Biscayne this year, was there supporting her younger sister, taking photographs and helping pick up any stray oranges that fell out of the winner's silver bowl as Francoise posed with the Canadian flag and the Junior Orange Bowl princesses. In contrast to the girls 12s final, the boys 12s semifinals on the hard courts of the University of Miami did not feature the same brand of power and pace. Eddie Herr finalist Seongchan Hong of Korea defeated Alexander Zverev of Germany 6-1, 1-6, 6-2 and Eddie Herr champion Stefan Kozlov beat fellow American Spencer Furman 6-3, 1-6, 6-3 to set up a rematch of the Eddie Herr final, won by Kozlov in two tiebreakers. Kozlov is looking to change strategies and play more aggressively against Hong in Wednesday's final. "I'm going to hit winners only, or I'm going to try to," said the 11-year-old from Pembroke Pines, Fla. "I'm not going to get into his game, which is pushing--well, not pushing, but lobbing. The Eddie Herr was all of that." In the 14s, the reigning Easter Bowl 14s champions will try to add another prestigious title to their resumes, with Brooke Austin and Mackenzie McDonald earning berths in the Junior Orange Bowl finals. The top-seeded Austin rolled past No. 4 seed Domenica Gonzalez of Ecuador 6-2, 6-2, giving the stylish right-hander no time to set up for her shots. Austin dominated with her flat, on-the-rise ground strokes, finishing off points with swinging volleys or seemingly impossible angles. It wasn't long before Gonzalez needed to switch to plan B. "I think she tried to slice more when she was running," said Austin, who is from Indianapolis. "But it just kind of lobbed, and I could take control of the point." Austin's opponent in the final is unseeded Yuki Chiang of California, who added another impressive victory to her string of them in this tournament by downing No. 3 seed Daria Lebesheva of Belarus 6-3, 6-7(6), 6-4, although not without drama. Cruising along at 6-3, 4-0, Chiang lost focus for a minute and the strength of Lebesheva resurfaced. "I started to think about winning, then I started thinking about how powerful she was," said Chiang, who trains at the USTA's National Center in Carson. "She's absolutely amazing, it's not even funny how hard she hits it and how they fly in and how aggressive she is." As Lebesheva won game after game, Chiang began to realize that a third set was looming, and when she made two unforced errors at 6-6 in the tiebreaker, Lebsheva had pulled even. But in the ten-minute break between sets, Chiang was re-energized by conversations with her father and with USTA National Coach Kathy Rinaldi. "They were giving me strategies of what I was doing wrong and what I should be doing--don't push and just hit the ball," said Chiang. "The only thing she wants to do is try to outhit you, overpower you and make you feel scared. When she hits it hard, just hit it hard back, and I did and she weakened out. She couldn't do any other strategy." With a break in the fifth game, Chiang had her chance, and there was no repeat of the second set. Serving for the match, Chiang thought she had caught the baseline on match point, Lebesheva called it out however, and the chair agreed with her. But Chiang recovered from the disappointment, saved a break point two points later, and claimed the match when Lebesheva's backhand found the net. The ending of McDonald's 4-6, 7-5, 6-4 win over fellow No. 9 seed Kyle Edmund of Great Britain was also odd. After three hours of deuce game after deuce game, Edmund was serving at 4-5, but unable to get a first serve in. Down 15-30, Edmund struck what he thought was a backhand winner, but McDonald saw it just long, and the chair agreed, giving McDonald two match points. Edmund escaped the first when McDonald's forehand was wide. Edmund missed his first serve again, and the ball bounced into the stands. McDonald turned his attention to a youngster preparing to retrieve the ball, but Edmund was already hitting his second serve. "He missed a first serve and it went over the fence and this kid was going to run after it," said McDonald. "So I told him to stop, and as I looked back the serve was already coming and he double faulted. So I got lucky there." McDonald, from Piedmont, Calif., admitted that the two matches on Monday, as well as some nervousness, led to an alteration in his playing style in Tuesday's marathon. "Mostly when I play, I try to stay aggressive, finish points at the net, hit a lot of winners, go for forehands, but I didn't really feel my A game today," McDonald said. "So I had to go to the B game, and hit thousands of balls, as many as I could, and get to everything." McDonald's opponent in Wednesday's final is a former doubles partner, No. 8 seed Thien Nguyen of Vietnam, who defeated Nikko Madregallejo of the U.S. 7-5, 6-3. "Even though he's from Vietnam, he moved to California for a few years, and I got to know him pretty well, so we're pretty good friends," McDonald said. "Two or three years ago we played some nationals together; he's a good guy." The finals Wednesday will start with the girls 14s and boys 12s, followed by the boys 14s. For complete results, including consolations, see the TennisLink site. With skies overcast and temperatures never climbing out of the mid-60s Monday, the Junior Orange Bowl contestants were fortunate that the conditions were so benign for a second straight day of two high-stakes matches. When the dust had settled, there were seven U.S. players still in contention for a Junior Orange Bowl title, with Julia O'Loughlin the first to reach a final, winning twice today in the girls 12s division. The unseeded O'Loughlin will play Canadian Francoise Abanda, a No. 1 seed, for the title on Tuesday morning, but it certainly didn't look like O'Loughlin would be in that position after her first set in her quarterfinal match against unseeded Ana Konjuh of Croatia. Konjuh was playing lights out tennis, and O'Loughlin was unable to counter effectively. She took a nasty fall, scraping her elbow, and it simply looked as if it wasn't her day after losing the first set 6-0. At that stage of the match, I left to go the Biltmore to watch some girls 14s fourth round play, and when I returned, O'Loughlin had taken control of the third set, and won the match 0-6, 7-6(4), 6-2. Meanwhile, Abanda and Eddie Herr champion Mariya Shishkina were in a dogfight, with Abanda taking the first set 7-6(8), and Shishkina leveling the match with a 7-5 second set. The lean Canadian, who played the 14s at the Eddie Herr, had a definite size advantage over Shishkina, and her power gave the 11-year-old Floridian trouble. Abanda took particular advantage of Shishkina's second serve, often hitting outright winners on the return, and Abanda displayed a Venus Williams-like serenity to disarm her feisty opponent. When Abanda took the final set 6-2, there was certainly a question about her ability to recover physically and mentally in time for her second match of the day, but she showed great stamina in taking down Mathilde Armintano of France, a No. 1 seed, 6-3, 5-7, 6-2 to take her place in the final. O'Loughlin, meanwhile, had a much less strenuous second match, beating Eddie Herr finalist Tornado Ali Black 6-2, 6-0. Although I didn't see any of that match, I was told that O'Loughlin hit an astonishing array of winners against Black, who had had her own quarterfinal drama with qualifier Yi Jia Shao of China. Black, who had beaten Shao in straight sets at the Eddie Herr, had more difficulty in Monday's match before finally subduing Shao 6-4, 2-6, 6-2. The girls 12s final is Tuesday morning at Salvadore Park. The semifinals of the other three divisions are Tuesday at the University of Miami. In the girls 14s, top seed Brooke Austin of the U.S. will take on No. 4 seed Domenica Gonzalez of Ecuador in one semifinal, and No. 3 seed Daria Lebsheva of Belarus will face unseeded Yuki Chiang of the U.S.
Austin and Gonzalez both lost their first sets of the tournament in the quarterfinals, with Austin coming back to defeat Anett Kontaveit of Estonia 3-6, 6-1, 6-2 and Gonzalez taking out No. 5 seed Merijana Vlahinic of Croatia 7-5 2-6, 6-3. Lebesheva had two tough matches on Monday, defeating unseeded Jade Suvrijn of France 4-6, 6-3, 6-4 and Eddie Herr champion Spencer Liang, the No. 6 seed, 4-6, 6-0, 6-4. Chiang has posted some outstanding results throughout the tournament, defeating the No. 2 seed yesterday and she continued that form today, taking out ninth seed Tatiana Guskova of Russia 4-6, 7-5, 6-3 and Eddie Herr finalist Katy Dunne of Great Britain, the No. 7 seed, 6-1, 6-1. I hadn't spent much time at the boys 12s at Tropical Park, and after the morning matches had produced a quarterfinal between unseeded Americans Spencer Furman of Washington and Eduardo Nava of California, it seemed like a great reason to venture out into the Miami traffic. I'm certainly glad I went, because I hadn't seen either boy play before, and I wouldn't have had a chance to see the loser again. That turned out to be Nava, who fell 7-5, 6-3 to Furman, but he has a very powerful game that couldn't quite measure up to the quick and heady style of Furman. Much smaller than Nava, Furman was still able to handle the pace, shrug off the forehand winners that Nava smacked every so often, and stay in the big points long enough to outlast Nava. Down a break in the first set, Furman broke Nava to win the set, and got the only break he needed in the second set at 2-3. Next up for Furman is Eddie Herr champion Stefan Kozlov, who defeated another No. 1 seed, Andrey Rublev of Russia, 6-2, 7-5 in the quarterfinals. There is stil the possibility of an Eddie Herr finals rematch, with Korea's Seongchan Hong, who lost to Kozlov in two tiebreakers in Bradenton, reaching the semifinals. Hong, a No. 1 seed, will need to beat No. 1 seed Alexander Zverev, younger brother of Top 100 ATP pro Mischa Zverev in the semifinals to get his chance for revenge, should Kozlov advance to Wednesday's final. In the boys 14s, the top 7 seeds are all out, with No. 1 seed Frederico Silva the most notable absentee from the semifinals. Silva fought back to force a third set against Great Britain's Kyle Edmund, but he had nothing left for his fifth set of the day, dropping a 6-1, 3-6, 6-0 decision. Edmund's opponent in the semifinal will be Mackenzie McDonald, also a No. 9 seed, who took out another No. 9 seed, Croatia's Borna Coric 6-3, 6-1 in the quarterfinals. McDonald's friend and frequent doubles partner Nikko Madregallejo upset No. 4 seed Luke Bambridge of Great Britain, the Eddie Herr champion, 7-5, 1-6, 6-2 in the round of 16, then went on to beat unseeded Mac Roy of the U.S. 6-2, 7-5. Roy was serving for the second set at 5-4, but Madregallejo stayed steady while Roy went for winners, not able to produce them when the big points presented themselves. Madregallejo's opponent in the semifinals is No. 8 seed Thien Nguyen of Vietnam, who rolled over two No. 9 seeds on Monday, Pedro Cachin of Argentina 6-1, 6-2 and Gregory Garcia of the U.S. 6-2, 6-0. Winter arrived a day early in Miami, with temperatures in the upper 50s and chilly winds making the usual South Florida wardrobe inadequate. I moved from site to site and back again in an attempt to stay warm, spending a couple of hours at Salvadore Park for the girls 12s for the first time this tournament. In the morning third round matches in the girls 12s, one of the two U.S. girls given a seed, Californian Kenadi Hance, fell to unseeded Valentini Grammatikopoulou of Greece 6-3, 6-3. The other, Eddie Herr champion Mariya Shishkina, got through a tight second set against unseeded Kellyn Abbanat of the U.S., winning that morning match 6-0 7-6(2). 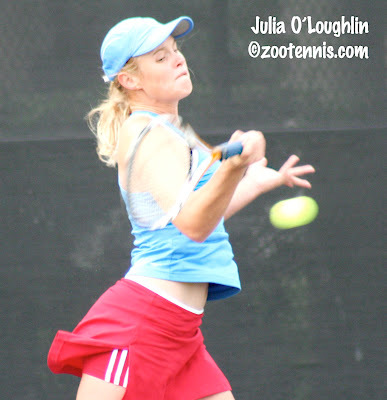 Unseeded Julia O'Loughlin of Boca Raton has been among the most impressive performers in the 12s, dropping only five games in her two matches today to reach the quarterfinals. The third American girl to reach the quarterfinals is Eddie Herr finalist Tornado Ali Black, who is unseeded. Black downed Marie Bouzkova of the Czech Republic, a No. 1 seed, 6-3, 6-3 this morning and defeated unseeded Sandra Samir of Egypt 6-3, 6-4 in the afternoon's last match. Black's opponent in the quarterfinals will be a familiar one, qualifier Yi Jia Shao of China. Shao, who towers over most of her opponents, won three rounds to reach the main draw and with four victories there has earned a rematch with Black, who beat Shao 6-2, 6-3 in the second round at the Eddie Herr. Although Shao has plenty of power, Black can match her in that department; it will be interesting to see if the move from hard courts to clay has any impact on the outcome. The winner of that match will play the winner of the O'Loughlin - Ana Konjuh quarterfinal in Monday afternoon's semifinal. The unseeded Croatian earned two straight-set victories today. Shishkina will face Francoise Abanda of Canada, also a No. 1 seed. Abanda breezed by Anastasia Nefedova of the U.S. 6-2, 6-1 in the afternoon match, but Shishkina needed three sets to get past Grammatikopoulou 4-6, 6-2, 6-2. There was a large crowd watching the match on court 1 and a roving umpire on the court for the entire third set, which was all I saw of the match. Shishkina took control early in the third, going up 4-1 with two breaks. Grammatikopoulou broke Shishkina at love when she was serving at 4-1, but even that setback and several overrules of her calls by the umpire couldn't dent her determination or focus. She broke Grammatikopoulou back in the next game, then served it out, showing no sign of fatigue after five sets of tennis. The other quarterfinal will feature two No. 1 seeds--Great Britain's Lana Rush against France's Mathilde Armitano. Armitano has lost only six games in her four wins, and only one in her two victories today. At the University of Miami, I spent the better part of three hours watching top seed Frederico Silva of Portugal battle Roy Lederman of the U.S., a 17th seed. Lederman took the first set 6-4, but the left-hander survived by claiming the second and third sets by 6-3 scores. Neither boy was playing his best, probably due to the swirling winds, but some of the points were ended by spectacular winners. On one, the top seed hit a Nadal-like passing shot from eight feet behind the baseline, turning his defensive position into a winner just that quickly. Silva had some difficulty with his forehand early in the match, netting a fair share, but he ironed that out, took a big lead in the third set, and held on for the win. Lederman had trouble finding the ball on overheads in the second set, and yelled in frustration often, but he continued to play committed tennis until his return sailed long on match point. There are six U.S. boys in the round of 16, four from California, with No. 6 seed Thai Kwiatkowski and No. 7 seed Joseph Di Giulio breezing into Monday's fourth round. North Carolina's Kwiatkowski, who was up 1-0 before the match began due to the tardiness of his opponent, beat qualifier Ryan Frankel of Great Britain 6-3, 6-0. Kwiatkowski spent time with eight-time Grand Slam champion Ivan Lendl after his match; Lendl was watching several of the Americans with the USTA's head of men's tennis Jay Berger and coaches David DiLucia and Andres Pedroso. Di Giulio beat Toshiki Matsuya of the U.S. 6-2, 6-0. Mackenzie McDonald, a No. 9 seed, defeated Gianluigi Quinzi of Italy 7-6(3), 7-5 and Gregory Garcia, also a No. 9 seed, outlasted Justin Butsch 4-6 6-3, 6-1. Nikko Madregallejo, a No. 17 seed, got past Canadian Hugo Di Feo, a No. 9 seed 7-5, 7-5 in a very entertaining contest on Court 3. The only unseeded American still in the mix is Mac Roy, the heavy-hitting Texan, who downed No. 17 seed Jason Peter Platzer of Austria 6-1, 6-7(2), 6-4. I was at the girls 14s site, the Biltmore Tennis Center, only briefly, watching No. 3 seed Daria Lebesheva of Belarus take the first set from 2008 Junior Orange Bowl 12s finalist Alexandria Stiteler of the U.S. 6-3. She went on to win the second set 6-1. Eddie Herr champion Spencer Liang, the No. 6 seed, has reached the final 16, defeating lucky loser Daria Chernyshkova of Russia 6-0, 6-4. Brooke Austin, the top seed, advanced in straight sets, while Yuki Chiang upset No. 2 seed Carolina Costamagna of Argentina 6-4, 6-2 in a second round match played today. Not making the trek to Tropical Park, the site of the boys 12s, I missed a big upset. U.S. No. 1 Tommy Paul was defeated by Cameron Klinger of California 6-4, 3-6, 6-2. Klinger is the only U.S. boy in the bottom half of the draw; the other four--Spencer Furman, Eduardo Nava, Francis Tiafoe and No. 1 seed Stefan Kozlov--are in the top half, with Tiafoe and Kozlov playing in the fourth round tomorrow. There will be two rounds played on Monday, after which the tournament will finally be back on schedule after the rain on Thursday and Friday. For complete results, see the TennisLink site. For more stories from the tournament, see the Junior Orange Bowl site. The rains of the past three days were blown away by a cool front, and the effort to get the tournament back on schedule made for a long day of tennis for players in all divisions. 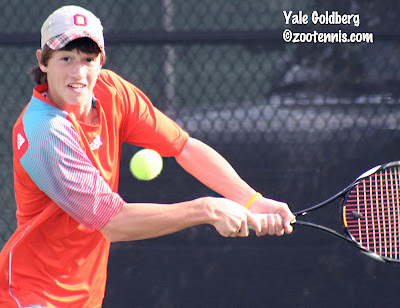 In boys 14s play at the University of Miami, unseeded Yale Goldberg of Ohio started his tournament off with a bang, defeating No. 2 seed Artem Oganesyan of Russia 6-4, 6-1. At the very bottom of the draw, the 14-year-old right-hander was one of the last players to get on the court for his first round match this morning, and he had no idea what to expect from Oganesyan, who is ranked sixth in the 14-and-under division in Europe. "A couple of people around here knew (him), but I didn't really know at all going into the match," he said. "I figured out, in the warm-up and the beginning of the match, how I should play." Goldberg saw that Oganesyan was trying to hit through him, so he waited for the inevitable error. "I figured if I stayed back and let him miss, and come to the net when I get the opportunity, I could beat him." Goldberg had very little time to enjoy his big upset, with only a couple of hours between his first and second round match. But his afternoon opponent, Eyal Cohen of Israel, had played a long three-set match in the first round, so Goldberg felt he had an advantage. "He only got an hour break, which is tough," said Goldberg, who went on to claim a 6-3, 6-3 victory to reach the final 32. "I got a longer break than him. It was definitely a help." The seeded American boys all won, with Roy Lederman (17), Nikko Madregallejo (17), Mackenzie McDonald (9) Gregory Garcia (9) and Joe Di Giulio (7) all reaching the third round with straight set victories. Thai Kwiatkowski, the No. 6 seed, won a long and dramatic second round match from Franko Miocic of Croatia 6-7(6), 7-5, 7-6(0). Kwiatkowski is often very emotional on the court, but Miocic was even more so and it was exhausting to watch so much energy expended point after point and game after game. After such a battle, Kwiatkowski was lucky that he did not have to play another match that same day, as he had completed his first round on Thursday. The girls 14s are suffering the most from the rain. With only 10 courts at the Biltmore Tennis Center, they were still playing under the lights at 8 p.m. on Saturday, and some of their matches were sent to the University of Miami after the boys second round was complete. I did see No. 1 seed Brooke Austin's second round match, and she looked in top form with a 6-1, 6-1 win over Milou Pietersz of the Netherlands. In the boys 12s, Spencer Furman and Henrik Wiersholm, both of whom are from the Seattle area, continue to post impressive results. Both reached the third round with wins. Wiersholm won both his matches on Saturday, taking out No. 1 seed Duck Hee Lee of Korea 6-1, 6-1 and Justin Hill of Canada 6-2, 6-0. Furman had defeated a No. 1 seed on Thursday, and Saturday he downed Grayson Broadus of the U.S. 6-4, 6-4. Tommy Paul and Stefan Kozlov, the No. 1 seeds from the U.S., also advanced to the third round. In the girls 12s, there is already a quarter of the draw without a No. 1 seed remaining. Eddie Herr champion Mariya Shishkina has advanced to the third round, as has Kenadi Hance, the other No. 1 seed from the U.S. Because the girls 12s finish on Tuesday, they will play two matches again on Sunday (and Monday), with Sunday's matches beginning at 8 a.m.
With rain washing out the entire schedule today at the Junior Orange Bowl, there's an opportunity to pass along some news from the USTA Boca Raton Training Center. As has been done for the boys in the past, a round robin tournament was held Sunday and Monday, with two of the spots on the European Winter Travel 14-and-under team then decided by matches on Tuesday. Unlike previous years, there were many younger players invited, and all four who played on the last day are entered this year in the 12s division at the Junior Orange Bowl. Typically, the USTA has stuck to the birth year of those who will be 14 in the upcoming year. Eleven-year-old Stefan Kozlov of Florida won his group with a 6-2, 6-4 victory over North Carolina's Tommy Paul and Spencer Furman earned an invitation with a 7-5, 6-4 decision over fellow Washington state competitor Henrik Weirsholm. There are two coaches' picks, and those selections were Paul and Noah Rubin of New York. Rubin is the only player born in 1996 on the team. While the round robin competition was going on, Andy Roddick was in Boca Raton for his annual charity event over the weekend, and he hit at the training center, on one occasion with junior Jack Sock. Both Sock and the 12-year-olds were delighted to have an opportunity to interact with the top American. Spots on the girls team are generally not decided by a competition like the one held at Boca for the boys. Last year Sachia Vickery, Vicky Duval and Brooke Austin were on the winter team and also won the championship at the ITF World Junior Tennis competition in August, the third straight win for the U.S. 14-and-under girls. Austin is still age-eligible for 2010. The Aegon Teen Tennis tournament in England begins on January 14, 2010. The dates for Les Petits As are January 21-31. I spent the morning at the University of Miami Tennis Center today, because it has escaped most of the rain, and this morning it again was dry, with matches starting at 8. 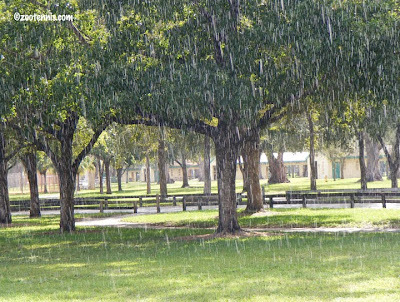 Due to wet courts, the girls 14s at the Biltmore and the boys 12s at Tropical Park were delayed, but at UM all the matches in the top half of the boys 14s draw were completed before the drenching rains began around 1 p.m., which ended play for the day. I got my first extended look at top seed Frederico Silva of Portugal, who beat qualifier Tommy Mylnikov of Canada 6-4, 6-2. Silva is a big, powerful left-hander who moves well for his size, but he made more than his share of unforced errors to keep Mylnikov in the match. Roy Lederman, a No. 17 seed, who is from Miami, was on the court for less than 40 minutes in his 6-0, 6-0 win over Shiloh Todd of Bermuda. The match was so short, I suspected that a retirement was involved before I checked the score. In what was a pattern for the day, Strong Kirchheimer defeated qualifier Spencer Rhoads, also of the US, 6-2, 6-3, but it was a much lengthier battle than the score indicates. Without scoring devices, it was impossible to monitor games unless you devoted all your time to one match, so it was a shock to go back to the score reporting desk and see such a routine score. The same could be said of No. 7 seed Joe Di Giulio's 6-4, 7-6(7) victory over local qualifier Ramario Francis in another all-American contest. That match was over two-and-a-half hours long, and Thai Kwiatkowski, the No. 6 seed, also had a tougher-than-expected first rounder, defeating Piotr Lomacki of Poland 6-1, 7-6 (1). One long match that actually did go three sets, and clocked in at over three hours, was lucky loser Baker Newman's 2-6, 7-5, 7-5 win over João Walendowsky of Brazil, a No. 17 seed. The top-seeded American, No. 3 Drew Dawson, who had the USTA No. 1 ranking at the time of the seeding, lost to Billy Harris of Great Britain 7-6(6), 7-6(3). I always enjoy watching 12s move up in what can be a difficult transition, and today I saw four 13-year-olds who went deep at last year's Junior Orange Bowl win their JOB 14s debut. The 2008 champion Hyeon Chung of Korea made it through four rounds of qualifying this week and defeated Shaquille Taylor of the Bahamas 6-2, 6-1 today. 2008 semifinalist Borna Coric of Croatia had a tough test from Andres Alfonzo of Venezuela, who was being watched closely by former Top 10 ATP pro Guillermo Canas, who now has an academy on Key Biscayne. Coric won the match 6-4, 6-2. 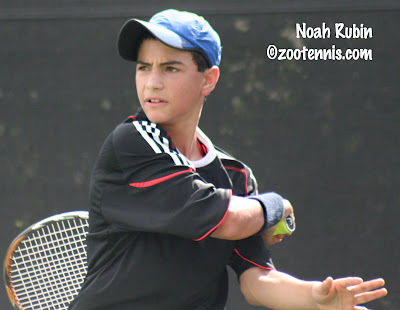 American Noah Rubin, a 2008 semifinalist, looked strong in his 6-3, 6-2 win over Aleksei Taranda of Belarus, as did the U.S.'s Christian Garay, who Rubin defeated last year in the quarterfinals. Both boys were striking the ball cleanly and there was no trace of the "12s" style of play remaining in either of their games. Although I didn't make to any other sites, I do have a few reports. Brooke Austin, the top seed in the 14s, got past a tricky first round opponent in U.S. qualifier Denise Starr. Eddie Herr 12s winners Mariya Shishkina and Stefan Kozlov had no difficulty advancing to the second round. Spencer Furman took out Sinan Orhon of Turkey, a No. 1 seed, without losing a game in the boys 12s. The weather forecast is again calling for rain on Friday. For more information on revised Friday match times, see the TennisLink site. 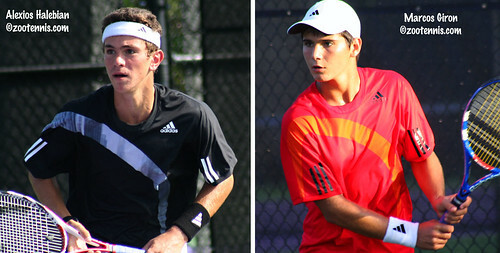 For more on Austin's and Newman's matches, see the Junior Orange Bowl site. Before the start of the Junior Orange Bowl for 12s and 14s, here's a link to my wrap-up of last week's 16s and 18s Dunlop Orange Bowl for the Tennis Recruiting Network. I tried to catch the final round of qualifying at the Junior Orange Bowl boys 12s this afternoon, but I was thwarted by a most unusual rain storm. Being from Michigan, I'm quite familiar with all the various types of snow storms, but I can't say I've ever seen a rain event quite like this one. For more than a half and hour, it rained steadily, with the sun shining all the while. The distance between Tropical Park and the University of Miami Tennis Center is only about 5 miles, and it was raining for four of them, but suspecting that if one of the four Junior Orange Bowl locations would have dodged the rain, it would be UM, I headed there. Sure enough, the Hurricanes' courts were dry, and I watched several of the final qualifying matches there, including the first set of 12s Junior Orange Bowl champion Hyeon Chung's match. But without scoring devices, it was just too difficult to track the score, especially if you are unfamiliar with most of the players, as was the case for me. The No. 1 seeds in the 14s are Fredrico Silva of Portugal and Brooke Austin of the U.S. Silva played the Eddie Herr, losing in three sets to finalist Thai Kwiatkowski of the U.S. in the round of 16. Austin did not play the Eddie Herr. She played, and won, a National Open in the 16s division Thanksgiving weekend in Ann Arbor. The No. 2 seeds are Carolina Costamagna of Argentina in the girls, and Artem Oganesyan of Russia in the boys. Oganesyan lost in the Eddie Herr round of 32 to China's Yifan Dang, a 17 seed this tournament. Costamagna did not play in Bradenton. A player to watch for in the girls 14s is Estelle Cascino of France, the 13-year-old who qualified at the Dunlop Orange Bowl in the 16s and made it all the way to the quarterfinals. Like the Eddie Herr, there are 16 No. 1 seeds in the 12s division, but for the first time since I've been covering the Junior Orange Bowl, tournament officials are not restricting a country to one seed and one seed only. This has allowed both Tommy Paul and Stefan Kozlov of the U.S. to be seeded, and Eddie Herr champion Mariya Shishkina and Kenadi Hance, the USTA 12s national champion this year, to also receive No. 1 seeds for the U.S. But with only 16 seeds in a 128-draw (all four draws are 128, but the 14s have 32 seeds, including 16 that are alphabetically seeded as 17), there are going to be a lot of dangerous floaters. Eddie Herr girls 12s finalist Tornado Ali Black isn't seeded, nor are Eddie Herr semifinalists Maria Patrascu of Canada and Anastasia Nefedova of the U.S. Eddie Herr semifinalist Duck Hee Lee of Korea was seeded in the boys, along with compatriot and Eddie Herr finalist Seongchan Hong (they are in the same quarter of the draw), but Lee has a tough first round against USTA 12s national champion Henrik Wiersholm. Spencer Furman, the runner-up to Wiersholm in Little Rock, also isn't seeded. 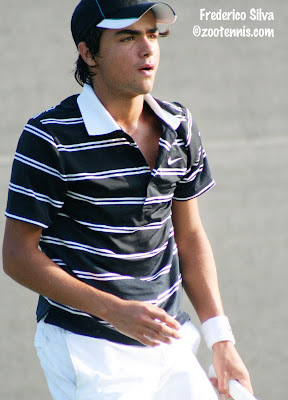 He faces Sinan Orhon of Turkey, a number one seed, in the first round. 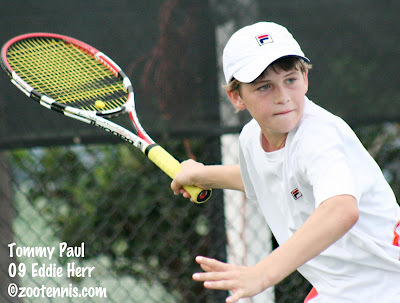 Eddie Herr semifinalist Mark Chepurnoy of Russia is also a dangerous unseeded player in the 12s. The weather forecast is marginal for Thursday, and downright stormy for Friday, so match times, as posted on the draws, may be optimistic. 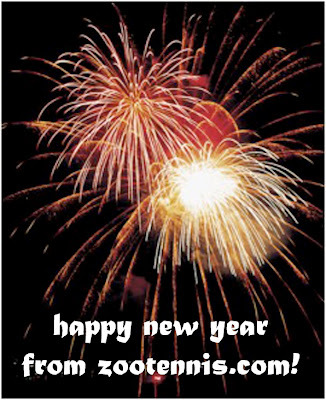 Check my twitter feed for more up-to-date information in the next couple of days. The Little Mo International, for 8, 9, 10 and 11 age divisions, is underway this week at The Club Med Sandpiper in Port St. Lucie, Fla. Marcia Frost is onsite for coverage at collegeandjuniortennis.com and Ken Thomas of radiotennis.com will be there webcasting live on Friday and Saturday. Another day, another slideshow, with this one from the Dunlop Orange Bowl. Also short videos of all eight finalists are available, with the two 18s winners' videos embedded below and links to the other six. For the first time in 18 days, I'm not covering a junior tennis match. Instead, I've spent the day preparing a slideshow and uploading videos from the Eddie Herr International to YouTube. I have short videos of all 16 singles finalists, but have had time to process only those of the winners. Below are Denis Kudla and Mariya Shishkina videos. Follow the links below for the other six champions. Three unseeded players and a top seed claimed Dunlop Orange Bowl singles titles on another unseasonably hot day in Miami. France had an opportunity to collect both 18s singles titles after top seed Gianni Mina overpowered his friend and frequent doubles partner Arthur De Greef of Belgium 6-4, 6-4, but Gabriela Dabrowski of Canada thwarted that potential sweep, upsetting world No. 1 junior Kristina Mladenovic of France 6-3, 2-6, 7-5. In the 16 singles championships, which are traditionally played on Saturday, but due to rain early in the week were pushed back a day, the U.S. was already assured of sweeping the singles, with all four finalists from the U.S. Two players from the USTA National Training Center in Boca Raton headed north on I-95 with the winners' share of oranges: Breaunna Addison defeated Kelsey Laurente 6-1, 6-2 and wild card Alexios Halebian came from a set down for the third time in the tournament to down qualifier Marcos Giron 4-6, 7-6(4), 6-4. Mina, a 17-year-old who is from the Caribbean island of Guadeloupe, found the 83-degree temperatures to his liking, and his serve was nearly as hot as Crandon Park hard courts against the eighth-seeded De Greef. Broken only once in the match, when he serving for the championship at 5-2 in the second, Mina was pleased with his performance. "This was my best match of the tournament," said Mina, the first boys 18s Orange Bowl winner from France since Guy Forget in 1982. "At the beginning I played not so good, but after 3-all, I begin to be more aggressive." At 4-all, Mina got the only break of the first set, and even a double fault on his first set point in the next game didn't faze him. A confidently struck backhand winner gave him another set point, and when De Greef's attempt at a backhand pass found the net, Mina was a set away. After taking a 4-0 lead in the second set, Mina may have relaxed a bit too much, allowing De Greef a ray of hope when the 17-year-old Belgian broke and held to make it 5-4 in the second. But in his second opportunity, the young Frenchman started with an ace and then a first serve that produced a weak chip return by De Greef. A double fault made it 30-15, and a defensive lob by De Greef that went long on the next point gave Mina two match points. On the first, Mina sent a backhand long, but on the second he hit an aggressive volley winner to secure his first Grade A, which immediately got him thinking about his next goal. "I feel now I have to win a grand slam," said Mina, who is planning to play all four junior slams in 2010 and hopes to secure the world junior No. 1 ranking. "Before it was a Grade 1, a Grade A, now a grand slam." Although his athletic game and physical resemblance to countryman Gael Monfils invite inevitable comparisons, Mina's favorite player is something of a surprise: Gustavo Kuerten of Brazil, who won the men's singles title at Roland Garros three times. A finalist at the Roland Garros juniors this year, Mina's loss to Daniel Berta of Sweden there kept France from claiming both titles, as Mladenovic defeated Daria Gavrilova of Russia in the girls final. But the sweep again eluded the pair when Dabrowski won the final three games of the two-hour match to become the first Canadian girl to win the 18s Orange Bowl title since Carling Bassett in, coincidentally, 1982. Dabrowski injured her right knee in the final of the Yucatan Cup a little over two weeks ago, and had it taped throughout last week's Eddie Herr, where she reached the semifinals, and all this week. Playing in her 17th singles match since November 24th, Dabrowski surprised herself with the reserves of energy she tapped late in the match. "Honestly I don't know how I did it," the 17-year-old from Ottawa said. "I tried to hang in there until the end. I thought I was playing tentative in the second set and that's why she was able to take control and win that so easily. But in the end, I finally found the rhythm on my serve and I decided to step into the ball, because I knew otherwise I would have no chance to win the match. She's such a great ball-striker." Dabrowski handled the pace of Mladenovic, getting low to the ground despite her fatigue to dig out the punishing ground strokes from the top seed. The third set began with four consecutive breaks, which was not a good sign from the French girl, as her first serve is one of her strengths. Dabrowski hit a tough overhead winner on break point to take a 4-3 lead in the final set, but was immediately broken in the next game; the only point she won on her serve was a point penalty assessed by the chair umpire for a time violation on Mladenovic. At 30-30 in the next game Mladenovic hit a backhand winner and a service winner to take a 5-4 lead, and Dabrowski was in the precarious position of serving to keep the match going. At 30-30, she was two points away from losing the match, but she got two good first serves in to hold. Mladenovic double faulted to open her service game, and Dabrowski was focused on moving the 6-footer from side to side. Dabrowski was dictating the points in the game, and when at 15-40, Mladenovic's backhand caught the tape, the Canadian was serving for the match at 6-5. Mladenovic hit two return winners, but also made two errors to make it 30-30, and had a point to get into a tiebreaker when Dabrowski sliced a forehand wide. But again Dabrowski's serve came through for her, with a first serve winner bringing it back to deuce. Mladenovic tried to force the action on the next point, but her forehand approach was into the net. Dabrowski, who had been playing quickly in the final few games, slowed herself down, went to her towel and thought for a moment. "I knew I couldn't take any more dramatic matches," Dabrowski said, referring to her semifinal win over Nastja Kolar of Slovenia, where she came back from match point down to win in a third set tiebreaker on a racquet abuse point penalty and an Eddie Herr match when she won it on a game penalty for racquet abuse. "I've had too many of them in the past three weeks honestly." Dabrowski stepped to the line and hit a first serve, and when Mladenovic floated the return long, Dabrowski smiled and looked to her coach, but didn't have the energy for a more theatrical celebration. Mladenovic, who had come back from a set down in the quarterfinals and semifinals, was philosophical about the loss. "Of course I'm disappointed, because I was supposed to get the victory, but I had a very good tournament. I came here to get used to these conditions for Australia, and even if I did not win today, my three last matches give me a lot of confidence. I have nothing to reproach myself with all I did this season. 2009 was just an incredible year for me. I'm proud of myself even if I lost 7-5 in the third today." De Greef was also happy to have had a chance to experience the conditions he will likely encounter when he travels to Australia for the junior championships next month. "This was very good training for Australia, I think. 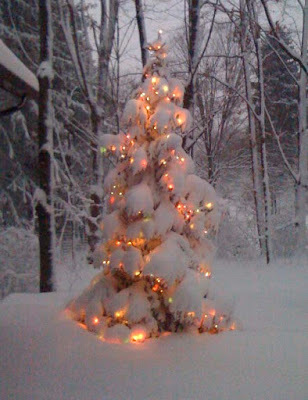 Today in Belgium it was 2 degrees (Celsius)." The winners in the 16s competition aren't making any plane reservations for Australia just yet, but Addison and Halebian have every reason to think that is just a couple of years away. The unseeded Addison dropped only one set during the tournament, took out Eddie Herr champion and nemesis Sachia Vickery in the third round, and in the final blasted past No. 10 seed Kelsey Laurente 6-1, 6-2. Serving for the first set at 5-1, Addison hit two aces and an unreturnable serve. "I was glad I didn't get all nervous like the last couple of rounds," said Addison, who turns 15 later this month. "Once I felt really loose and I was serving well, I knew I could do it." Laurente, who had come back from a set down in her quarterfinal match and from a 6-2, 5-2 deficit Saturday against Catherine Harrison, continued to fight, but she had no answer for Addison's standard of play. "She played amazing. I couldn't pass her, I couldn't out-rally her, she was getting everything back," said the 15-year-old from Miramar, Florida. "She was serving bombs, and another factor was my feet. I didn't get to the ball. Sometimes I would just look at it, because it was such a good serve. Today, I couldn't make the magic happen." 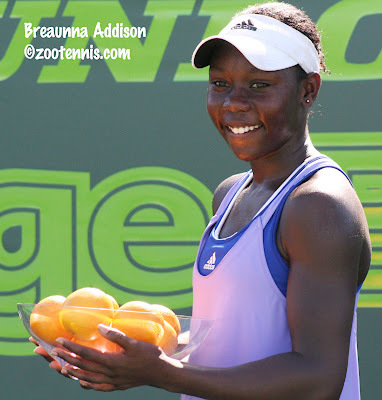 With her first major international junior title and the fourth consecutive Orange Bowl 16s title for an American girl, Addison was all smiles reflecting on how she felt when Laurente sent a backhand long on match point. "It felt amazing, so good," said Addison. "I thought it would be more joyous, like crying or something. But I knew I deserved it, because I've been working really hard. It just felt great." In the boys 16s final, Halebian dropped the first set to Giron 6-4, but getting a break when Giron was serving for the set at 5-2 helped get him on track for the rest of the match. "Even though I lost the set, those games helped me out in the next set," said the 15-year-old left-hander from Glendale, Calif. "If I would have lost 6-2 and I hadn't played too many good games the whole match, so he probably would have started out cruising again. He would have been the one feeling well." Giron reflected back on the ninth game of the first set, when he had three set points with Halebian serving at 0-40. "If I would have capitalized on the first (set) point, that would have been bigger," said the 16-year-old from Thousand Oaks, Calif. "Obviously after he won that game, he started to get more confident, get in a better groove, feeling he had a good chance of doing it." Another point Giron wishes he had back came in the second set tiebreaker. With Halebian holding two set points at 6-4, Giron hit a too-short lob, but retreated in time to get Halebian's smash back, lofting a fantastic lob that Halebian somehow ran down. With his back to the ball, Halebian wasn't able to do anything but keep it in the court, and Giron was waiting for the ball a few feet from the net. He missed the overhead into the net, drawing a sustained moan from the several dozen spectators, and the match was all even. "That was heartbreaking," admitted Giron. "If I had won that point, he would have been disappointed because he didn't put his overhead away. He still was serving at 6-5, but I would have had a chance to get the point back anyway." In the final set, Halebian broke in the first game, and held the advantage the rest of the way. Giron said he "probably won like a point" on Halebian's serve in the final set. "I thought I served well in the third set," Halebian said. "I hadn't served that well in the whole match." After losing in the final of the Eddie Herr 16s, Halebian was glad to finish with the winner's trophy this week. "It's still good to make the final, but if I would have lost, it would have been like the same situation last week. It's tough to lose in the final, but I've played pretty well and I'm happy about the end of the year. I'm playing well." The finalists' Tiffany crystal bowls of oranges won't be traveling far after Sunday's girls 16s championship match at the Dunlop Orange Bowl. Kelsey Laurente and Breaunna Addison will put them in their family cars' backseats and drive home to Miramar and Boca Raton. Yet to be determined is who will have the word winner engraved on the prize. The boys 16s champion may transport his prize a bit farther, but it won't leave the United States. Californian Marcos Giron and Alexios Halebian, who is currently living in Boca Raton, will play for the coveted title Sunday. Top seeds Gianni Mina and Kristina Mladenovic give France the opportunity to claim both titles, with Belgian Arthur De Greef and Canadian Gabriela Dabrowski hoping to prevent a French sweep. A drenching rain overnight left the Crandon Park courts surrounded by puddles, but the sun and a steady breeze kept the delay to the start of the semifinal matches brief. Addison opened her match with No. 7 seed Marcela Zacarias of Mexico as if she was going to stroll to the championship match; in a matter of what seemed liked minutes, she had taken the first set 6-1. Zacarias worked through her nerves however, and the second set was much more competitive. "I think she was really nervous in the first set," said Addison. "Then I think she calmed down and got herself together." The diminutive Mexican, who looks more like a 12-year-old than the 15-year-old she is, took Addison to deuce on nearly every service game in the second set. At 3-3, Addison broke Zacarias, giving her a lead that she wouldn't relinquish, but it was not quite that simple. Serving at 5-4, Addison needed six match points to claim the victory, hitting an ace down the T to end it. "I could have stepped in, tried to make a move to the net, but instead I kind of stayed back and tried to wait for her to give it to me," Addison said. "I need to just be more aggressive when I get into position. I felt so good when I hit the ace--I've really been working on my serve, so it's been paying off." Laurente, the 10th seed, was down 6-2, 5-2 to unseeded Catherine Harrison, before turning the second set, and the match, around, going on to post a 2-6, 7-6(2), 6-3 victory. Broken at love serving for the match at 5-3, Harrison lost her next service game too, but Laurente also failed to finish the set when serving for it at 6-5. In the tiebreaker, Laurente took control early, cracked a forehand return winner to take second set, and protected her serve throughout the third set. Breaking Harrison to take a 5-3 lead, the 15-year-old Laurente failed to convert her first match point, but when Harrison couldn't return her serve on the next one, Laurente had her victory, much to the delight of the dozen family members and friends who cheered her on. Asked how much their presence helped her, Laurente was quick with her answer. "A lot, oh my gosh, they kept me going for sure." Laurente struggled to remember the last time she had played Addison, turning to her father for confirmation that it had to be the 12s. "It was four years, about, it was a really long time ago," said Laurente, who planned to talk strategy for the championship match against Addison with her coach, Kevin Chow. "She won, but it was close match." In the boys semifinals, Eddie Herr finalist Alexios Halebian ended the winning streak of Brazilian qualifier Karue Sell with a 6-4, 6-4 victory. Sell had not lost a set in his seven previous matches, while Halebian had needed three sets in three of his four victories prior to the semifinal. "He looked like he was steamrolling a little bit, he hadn't played too many three-setters," Halebian said. "He was liking the way he was going through, and I was playing a lot of three-setters, so I felt like he was playing as much as me." In the final, Halebian, a wild card, will face another qualifier, Marcos Giron, who defeated Harrison Richmond 7-5, 6-3. Giron struggled a bit to end the first set, failing to serve it out at 5-4, but breaking Richmond at love in the next game and holding when he got a second chance to finish it. In the second set, Giron got an early break, and leading 5-3, broke Richmond with a perfect topspin lob on match point. Against Dan McCall in the quarterfinals, Giron had closed out his fellow Californian with a scorching backhand winner, a pattern he'd love to continue. "It felt good," Giron said. "The last two matches I came up big on match point and I couldn't ask for a better shot at the time." Against Halebian, who at 15 is a year younger, Giron is prepared for a battle. "I've played him a couple of times before, but I haven't played him recently. 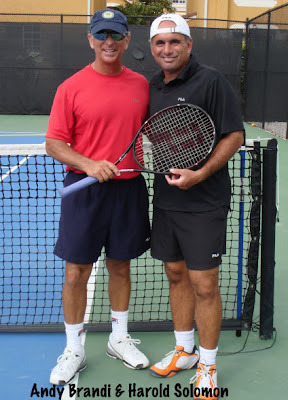 He's a good player, he's gotten to the finals of both the Eddie Herr and the Orange Bowl. He's got a great serve and good forehand. I just have to try to return well against him." In the 18s, No. 8 seed Arthur De Greef of Belgium eliminated the last U.S. hope for a title, defeating No. 5 seed Mitchell Frank 6-4, 6-2. Frank, who had looked razor sharp against Jack Sock in the quarterfinals, returned to Court 1 hoping to replicate his performance, but the Belgian looked comfortable throughout, and forced Frank into a more aggressive game than he prefers. Sock's drop shot was not a weapon against Frank on Friday, but De Greef went to it time after time, and it was usually effective. In the final game, De Greef hit clean drop shot winners several times, and although Frank gamely tried to hold his serve, on the fifth match point, De Greef cranked a forehand winner to reach his first Grade A final. "After the first round, I never thought I can be in finals," said the 17-year-old, who saved a match point in his second round encounter with Nick Chappell. "Now it feels so good." While De Greef is hoping to become the first boy from Belgium to claim an Orange Bowl title, his opponent, Gianni Mina, is aiming to follow in the footsteps of Guy Forget, who won the 18s title back in 1982. Mina, who had a struggle in the opening round, has breezed through his subsequent matches, which included a walkover, and on Saturday he reached the final when unseeded Justin Eleveld of the Netherlands retired down 6-4, 3-0. Mina's compatriot, Mladenovic, who trains side by side with him at French federation training center in Paris, reached her fourth Grade A final of the year with a hard-fought 4-6, 6-4, 6-3 win over No. 6 seed Ajla Tomljanovic of Croatia. A winner at Roland Garros and the Osaka Cup and a finalist at Wimbledon, Mladenovic had already claimed the year-end World Junior Champion's title, so playing the Orange Bowl was certainly optional. "I am practicing in Paris and preparing for the Australian Open, where I will go to play qualies, and with my coach we decide it's a good idea to come here, playing outside, very hot conditions, almost like Australia," said the 16-year-old, who is 201 on the WTA computers. "And I'm a girl who likes to play, to win, and you learn a lot with matches, not only with practices. It's easy to hit shots but you have to do it in a match." As she had been with quarterfinal opponent Madison Keys, Mladenovic was effusive in her praise of Tomljanovic, who traded powerful ground strokes and booming serves with the world's top junior, bringing out the best of both their games. "Yesterday and today it was incredible," Mladenovic said. "Almost every point was winners and big serves and I can just say thanks to my opponents that we played such a good match. The level of those two matches was so good, and I hope we can continue that way, that all three will see each other in the future, and in a few years why not come back here in this place and play another event?" Mladenovic will face unseeded Gabriela Dabrowski of Canada, who was in the final of the Yucatan Cup, the semifinals of the Eddie Herr and now has reached the finals of the Orange Bowl, a grueling three weeks that have also been long on drama. At the Eddie Herr, Dabrowski was awarded a second round win over Yulia Putintseva of Russia when a game penalty was assessed at 6-5 in the third set for racquet abuse. In Dabrowski's 5-7, 6-2, 7-6(5) win over No. 8 seed Nastja Kolar of Slovenia today, Dabrowski again was the beneficiary of an official's ruling of racquet abuse. Having been given a warning for racquet abuse earlier in the third set tiebreaker, Kolar picked the worse possible time to have another fit of anger. At 5-5 in the tiebreaker, she hit a forehand into the net. She slammed her racquet into the court, and although it was difficult to detect whether it was broken, the chair delivered her verdict: point penalty, game, set and match to Dabrowski. There was little protest or emotion from Kolar, as she shook both Dabrowski's hand and the chair umpire's and quietly packed up her bags and left the court. Dabrowski took the gift, although she said she would have preferred to win it more conventionally. Kolar had served for the match at 5-3 in the third, but Dabrowski ripped three consecutive backhand winners to get back on serve. "That was pretty clutch," said the 17-year-old from Ottawa, who also saved a match point with an tough overhead serving at 4-5, 30-40. "I felt I had to go for it if I wanted to come back. There was no sitting around waiting for her to miss. Of course I got tight at the end, but I'm glad that I went for those shots." Dabrowski, who has had her thigh and knee taped all week, admitted that she was tired. "I'm exhausted but I'll give it my all tomorrow, see how much I have left in the tank. I had no expectations today--I already knew it would be a tough match. I was just hoping to last. If I could last, I'd be satisfied." All four doubles finals were played on Saturday, and three of them were decided in match tiebreakers. The only match decided in straight sets was the girls 18s, where Anna Orlik of Belarus and Valeria Solovieva of Russia, the eighth seeds, defeated unseeded Polina Pekhova of Belarus and Noel Scott of the U.S. 6-2, 6-2. The boys 18s doubles title went to the unseeded team of Mikhail Biryukov and Alexander Rumyantsev of Russia, who upset top seeds Pierre-Hugues Herbert of France and Kevin Krawietz of Germany 6-2, 2-6, 10-8. In the girls 16s, the Canadian team of Elisabeth Abanda and Emma Onila, the second seeds, downed No. 8 seeds Addison and Caitlyn Williams of the U.S. 6-4, 6-7(4), 10-7. The boys 16s champions are Hunter Harrington and Mitchell Krueger of the U.S., the No. 6 seeds. They defeated unseeded Diego Hidalgo of Ecuador and Thiago Monteiro of Brazil 4-6, 7-6(2), 10-6. Hidalgo and Monteiro had beaten Krueger and his partner Alexander Petrone in the Eddie Herr finals, saving three match points in the match tiebreaker, so the 15-year-old Texan was looking for revenge. "It was in my mind," said Krueger. "Definitely at the 8-6 point, when I was going up for a second serve. Because I had double faulted to that same guy on that same side last week on one of our match points. I was definitely thinking, don't miss the serve. Thank god I made it." 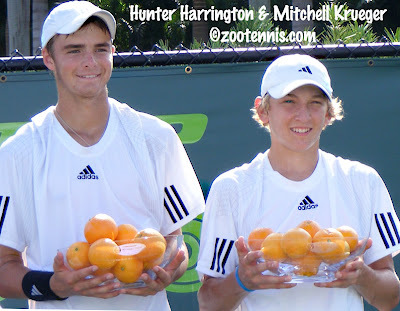 Harrington and Krueger had played together only once prior to the Orange Bowl, and that resulted in a first round loss in the Kentucky Grade 1 in September. But they had an idea they might be a good team. "It helps when you're serving big, and he's been serving big these past two weeks," Krueger said of Harrington. "So it's easier at the net." "And he doesn't miss returns, which is always good," said Harrington. The singles finals begin at 10 a.m. on Sunday.